Maybe without the rims but some crazy graphics like this is just want this car needs and deserves. Hard top or convertible these things are just the best. 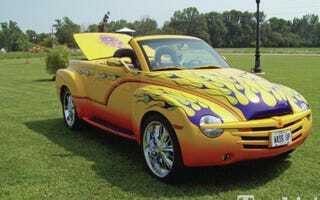 I would say it was one of the coolest cars to come out of the US in the 00's.